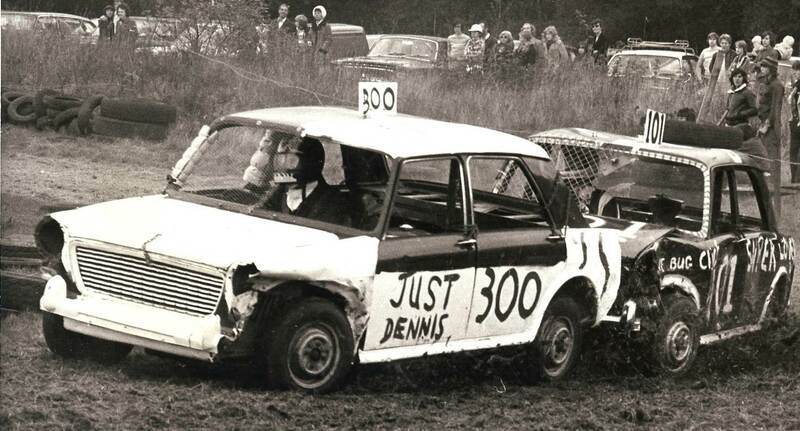 I used to run the banger racing with Colin Graves. Colin used to have the car sales in Jack Rourke’s yard in Dock Road. The race meetings were run for charity and we had a number of events in Tilbury and Dunton. One meeting was on the Go-Kart track, but the bangers damaged the surface of the track, so subsequent meetings were on the grass behind the club house. The ground was so boggy when it was wet that we had to give up at Tilbury. My car number was 101. so that it read the same when I was upside down. I love these photos and the car number reading upside down as the same number! Denis has got that photo in his barber shop ! 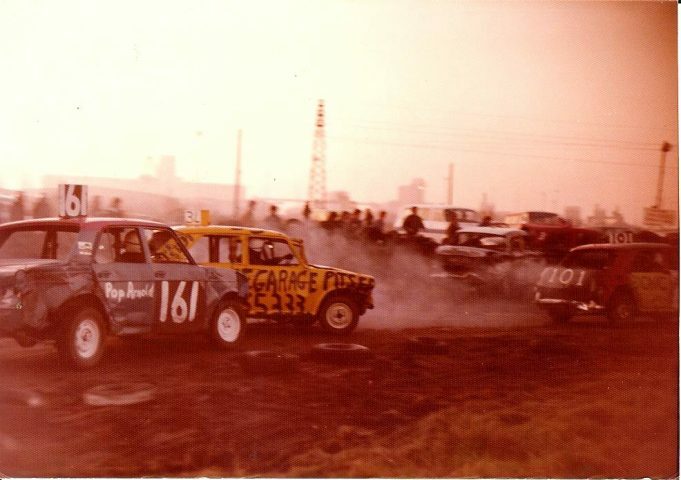 I went to Tilbury to watch banger racing with my next door neighbour Peter Hammond – it was my entry into the sport which i followed on at Arena Essex. These photo’s bring back great memories !